Did your invite to the royal wedding of the Duke and Duchess of Sussex get lost in the mail, but you still want to be part of history? Well, now you can. But it'll cost you a few thousand pounds. Items being touted as royal gift bags are now being hawked on dozens of e-Bay auctions for as much as $3,000 pounds, or $4,000 in U.S. dollars. 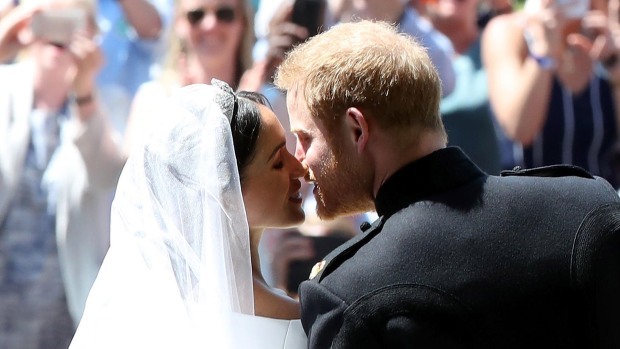 Gift bags were reportedly given to 2,640 members of the public who were invited to the grounds of Windsor Castle for Prince Harry's marriage to Meghan Markle, according to CNBC. But the gift bags were not given to the 600 close family and friends of the royal couple who were invited inside the chapel. Sorry... personally autographed pictures of Harry and Meghan not included.